Do you put everyone before yourself? Is saying yes a habit, more than a true intention? If more people helped others, the world would be a better place. However, psychologist Susan Newman says it can be dangerous to be a constant people-pleaser. I will admit that I tend to be a people-pleaser. I think some of us are just born with the innate desire to make others happy. However, I’ve found that when I can stop being a people-pleaser, I start to find more joy in my life. When I am focused on making others happy, I tend to neglect things that are truly beneficial to life. I may neglect my personal obligation. I definitely find myself developing resentment for those around me. And, in the long run I feel under-appreciated and taken advantage of. 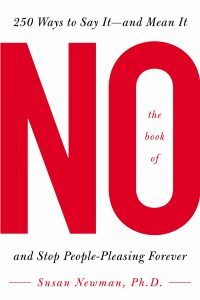 Newman is the author of (affiliate) The Book of No: 250 Ways to Say and Mean It, and Stop People-Pleasing Forever. 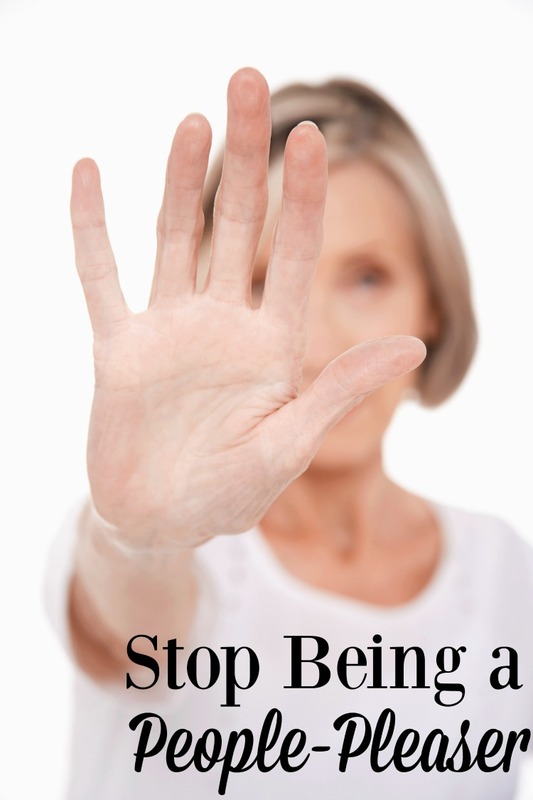 She points to the following reasons why you should not let helping others get out of hand. If you find it difficult (or impossible) too say no, you probably have a desire to help everyone, and make everyone happy. Sometimes, though, trying to please everyone means leaving some people out. You have already agreed to so many obligations there is not enough time left on your schedule. Also, when you take on too many commitments, the quality of your efforts can suffer. This means your personal and business relationships can be damaged as a result. A few years ago I was running at a fast pace. Besides my duties at home, I was blogging, trying to work my multiple businesses, and volunteering like a mad woman at church. In the end, I was frazzled and did not enjoy my life. A lot of “yes men” and women do not like that part of their personality. They realize that they are stress-filled because they are constantly trying to keep everyone around them happy. They see their own obligations taking a backseat, while the people they do favors for advance in business and in their personal lives. This can cause you to resent yourself, as you recognize your people-pleasing personality is pleasing everyone but you. For me, it is often that I feel so burned out and wishing I could see some of that success other people are having. It is through simplifying my life and letting go that I can better appreciate what I have. If you do everything for your friends, family members, and coworkers, they never experience growth. You limit their ability to take on new tasks successfully when you can’t help them, because they may not know what to do on their own. Even if you see someone you care about struggling in a particular endeavor, sometimes it’s best to let them learn the process themselves, as this develops a new skill and an improved sense of self-esteem. Raising children is one area where this can be a challenge. Thankfully, I was able to adopt the attitude of teaching my boys to do for themselves early on. By the time they were in elementary school, I had passed along the responsibility of making their lunches and doing their laundry to them. Sometimes it meant they were hungry if they ran out of time to pack a full lunch or they wore something a second day as there were no clean clothes. Might they have liked having full drawers of clean clothes and a great lunch to eat at school? Quite possibly. Yet, I know that doing it all for them would be less beneficial in the long run. Is your every behavior dictated on what you think will please someone else? This is the case with a lot of people-pleasers. They try to perceive what will make others happy, and then act accordingly, even if it is detrimental to their own situation. Remember, you are not a mind reader. Trying to assume what will keep everyone happy could lead to the opposite result. Do you struggle with the need to be a people-pleaser? What are some ways you’ve found helpful to finally let go of that desire? I HAD to stop this a few years ago. The most detrimental thing was the standard people would hold me to, while totally forgetting they were also an adult in any interactions we had. I was simply done, and needed to stop the people pleasing behavior to be happy.